Senior Vice President, Platform Product and Engineering, Time Inc.
Now that most mobile users are in the habit of clicking from one site to the next from their social newsfeeds, it’s a challenge for publishers to keep them engaged with one site or app. 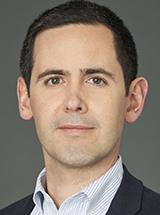 Kevin Heery, senior vice president of platform product and engineering at Time Inc., spoke with eMarketer’s Tricia Carr about how the publisher encourages mobile users to remain on its sites and apps, and the new technologies that can help publishers boost time spent. eMarketer: How do you approach mobile web and encourage users to spend time on your media brands’ sites? Kevin Heery: We spend a lot of time thinking about how to put stories together that are more immersive and interactive. As more and more people browse content from a newsfeed, we have to work harder to create immersive stories on digital [that people will spend time with]. When we do interactive content, like video, we see time on site go up significantly.